How to counter ISIS recruiters? Look no further than a U.S. political campaign. camera (Balkis Press/Sipa USA/AP Photo) ISIS fighters deliver a message to Francois Hollande and to the French people on Feb. 4th, 2015. For U.S. political campaign workers, the stretch of time between Election Days is more than likely filled with strategy sessions, fundraisers and at least some periods of relaxation. But one U.S. senator is suggesting staff take on a new task for the interim: Trolling terrorists. As counterterrorism officials continue to grapple with methods to counter the spreading influence jihadists have on social media, Johnson, the Senate’s Homeland Security chairman, said Internet savvy isn’t in short supply in politics. Meanwhile, Sen. Cory Booker, D-N.J., a particularly active politician on social media, laughed off several approaches now being taken by government agencies like DHS and the State Department. He noted what he said were ISIS superior capabilities by pulling his own iPad out during the hearing and showing an ISIS propaganda film. Booker referenced his own media strategy in his previous political campaigns as a potential model. The hearing, titled “Jihad 2.0: Social Media in the Next Evolution of Terrorist Recruitment,” is part of an ongoing attempt by Congress to identify ways to stymie efforts by terrorists overseas to lure foreign fighters, or incite jihadists to commit attacks inside the homeland. Johnson noted Sunday’s attack in Garland, Texas, and the two attackers’ reported activity on social media, including ISIS’ claim of responsibility, as evidence that social media counter messaging by the United States is failing. On the panel, Director of the National Security Studies Program at the New America Foundation Peter Bergen said his foundation identified 62 Americans from 19 U.S. states who have joined, tried to join, or supported others in joining the militant groups ISIS and al-Nusra in Syria. Bergen said the only profile that tied the 62 American militants together is they are active in online jihadist communities, and it’s a trend that is becoming even more extensive among “lone wolf” attackers such as the two killed in Sunday’s Texas shooting. Another panel member, a Brookings Institution fellow in the Project on U.S. Relations with the Islamic World J.M. 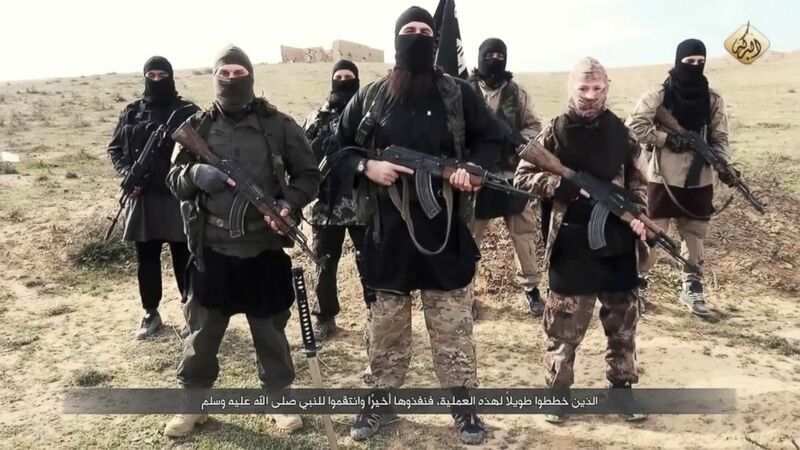 Berger, said one of the biggest problems with ISIS is their low threshold for entry compared to groups like al Qaeda, who are more exclusive in their recruiting. Mubin Shaikh, a former jihadi turned undercover counterterrorism operative, noted he has spent the past few years on Twitter watching the evolution of the foreign fighter phenomenon, and said he has directly intervened in several active recruitment situations. @ibnharam2 - I advise them that Islam is not a religion of terrorism but justice, even against our own Q4:135 - a creed I live by.